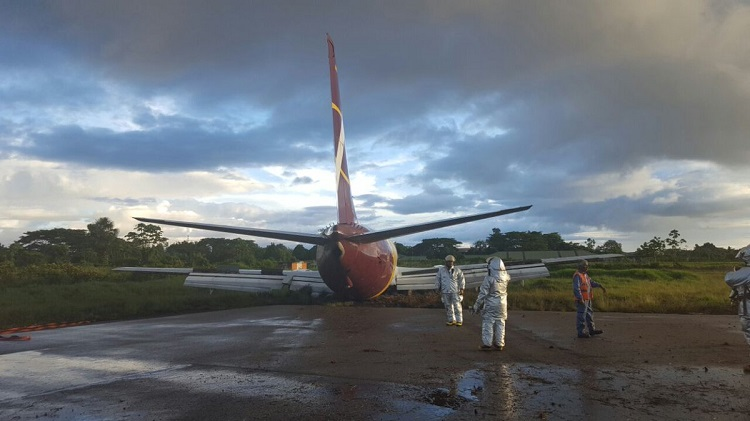 The cargo aircraft was seriously damaged when it ran beyond the end of the runway at Leticia Airport, Colombia. 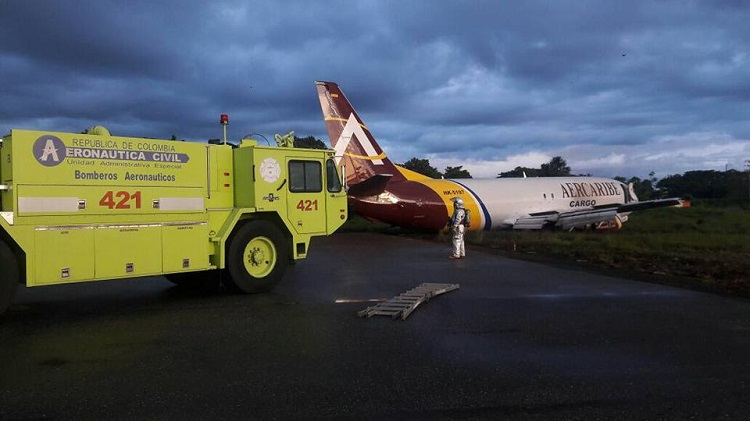 All four occupants on board remained unhurt. 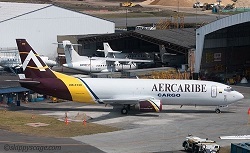 AerCaribe cargo flight from Bogota was involved in a serious landing accident at Leticia Alfredo Vasquez Cobo Intl Airport when it failed to stop within runway lengh (2010 m) during landing. 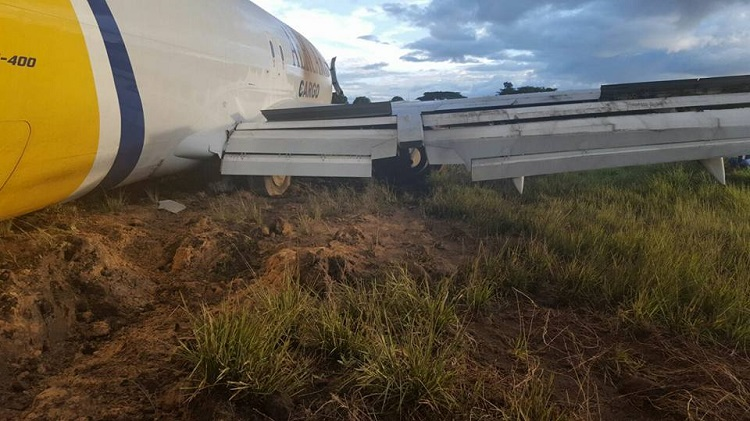 The aircraft – a passenger Boeing 737 converted to a „Special Freighter“ – received major damage when its entire undercarriage failed and collapsed rearwards when it ran over sofrt ground before it came to a stop about 15 meters behind the end of paved ground. 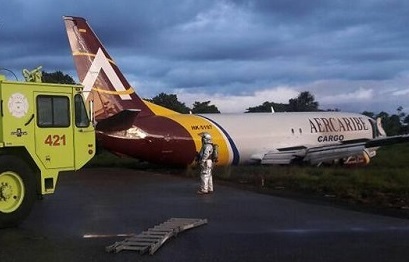 All four crewmembers escaped without serious injury. 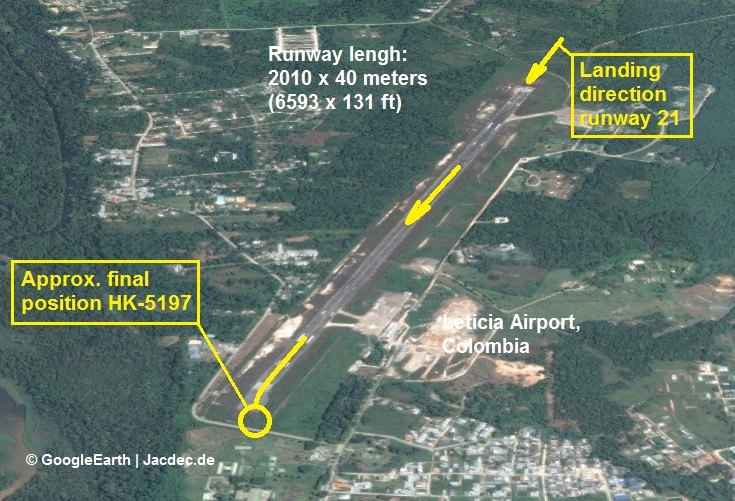 Leticia Airport was closed to allow removal of the aircraft. 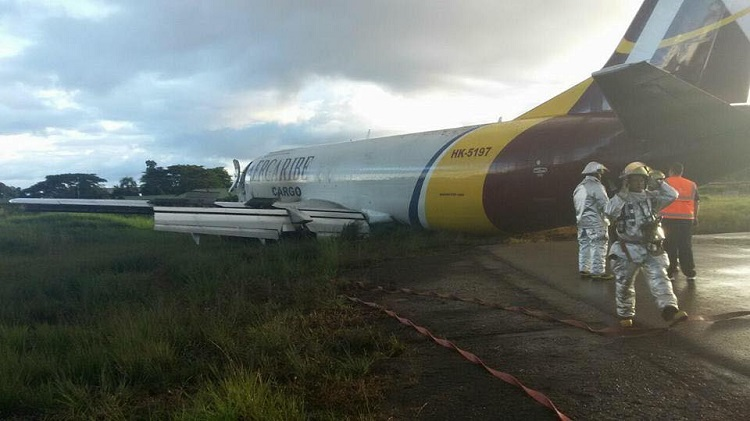 In the afternoon and early evening, Leticia Airport received occasional rain and drizzle.